When I’m wrong, I’m not afraid to admit that I’m wrong. Leggings have never been a staple in my style arsenal. I’ve always thought that wearing them as pants was a little taboo. In my mind, they’re okay to wear around the house or to the gym. But to the mall? Or out on a date night? No way! Recently, I’ve had to reconsider my position. 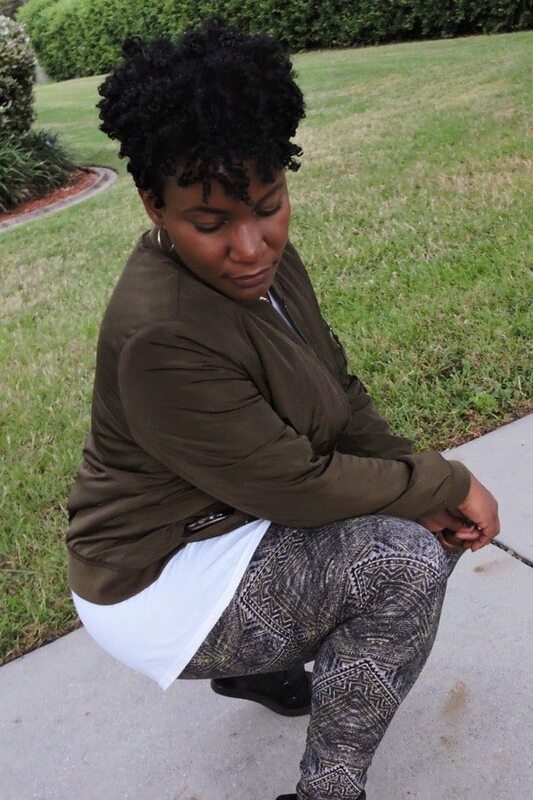 My friend Tia reached out to me to ask if I would feature her LuLaRoe leggings on the blog. I’m being honest when I say that I was more than a little hesitant. But, she’s an awesome person and an entrepreneur chasing her dreams. I couldn’t say no. Full disclosure here. Tia offered to gift me a couple pair of leggings to try. I countered with an offer to pay for both. After some friendly haggling, we came to a compromise: I paid for one pair and she gifted the other pair to me. After trying on my first pair, I have to say that I’m sooo glad I put my biases aside. I was pleasantly surprised by how soft and smooth the material felt against my legs. They didn’t feel at all binding or give me the sensation that I was wearing a slightly less uncomfortable body shaper. In a word, these leggings felt incredible! Now, I completely understand why LuLaRoe’s tagline is “Simply Comfortable.” It’s the perfect description. If you haven’t tried the awesomeness that is a pair of LuLaRoe leggings, you should. The comfort and affordability was a total win-win for me. And, they’re also one of this fall’s hottest style trends, so your timing would be perfect! Right now, there’s over 1,800 members in the group, but I’m sure there’s always room for more. If leggings aren’t your thing, not to worry! Tia has plenty of other selections like dresses and shirts that you can choose from, too. So, how do you feel about leggings? Love them or lose them? Let me know in the comments below! Leggings are soo confortable and cute. I love them! I am a woman of considerable size and I purchase from one purveyor who specializes in plus sizes. I wear their ankle length style as well as the capri length in warmer weather. The fabric is soft and I only wear black, for its slimming qualities. My tops are longer, to cover my widest feature, and regular length jackets and sweaters are fine. My shoes and purses change to pick up colorations in tops, jackets, jewelry, etc. I never feel shabbily turned out or dressed inappropriately, but would never wear them to a “dressy” function. Leggings are one of my permanent wardrobe staples. Super cute leggings, I live in them! I own like 10 pair of black ones. 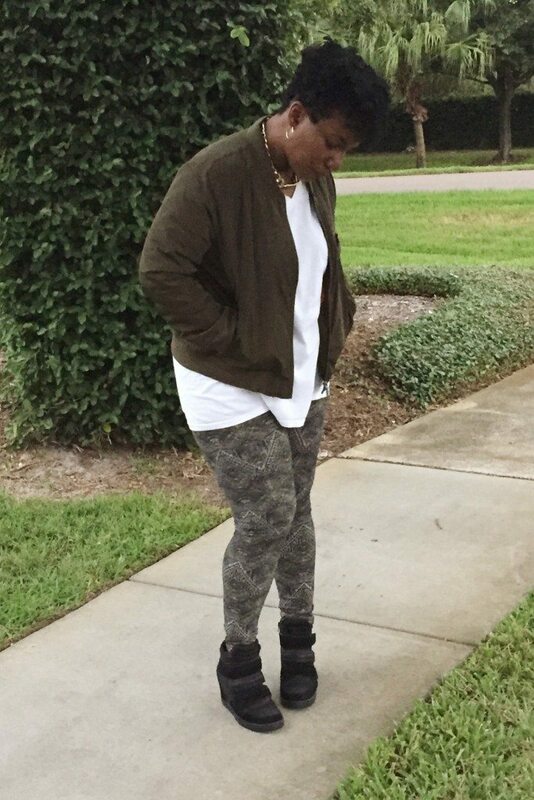 I love leggings – I wear them with my leather jacket and tank top with some booties when I drop the kids off at school in the mornings. Haha! My official uniform when I take them! I’ve never tried that brand because of the patterns. I ought to try them in a solid color though. I know they’re incredibly comfy! Leggings are awesome and they’re definitely one of my favorites especially when I’m feeling lazy to dress up. They are awesome with boots as well which is my favorite kind of footwear! I’m glad you decided to give leggings a chance! Well, you are wearing them with class, so that is definitely okay. I know a lot of women go crazy for this company. I think I am too old to wear leggings outside the house. Although my legs are still in good shape, I am not that confident wearing body hugging clothes. I would leave that to the younger generation. i used to hate them myself. But whn I tried and they suit me. After that, there are my bestfriends. I love leggings! They are a big part of my wardrobe with tall boots and tunics. 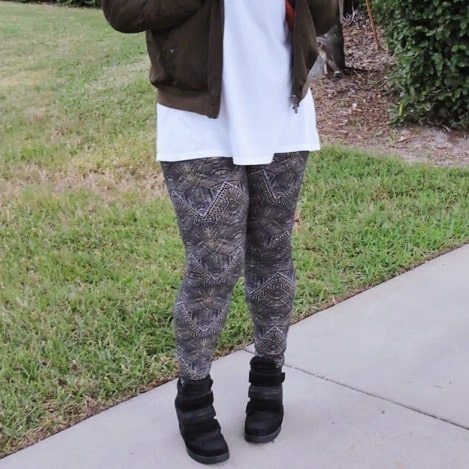 I love the way leggings look with oversized shirts and sweater dresses. And boots, of course.